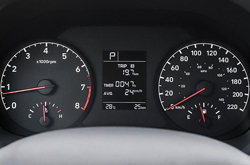 What's New For The Hyundai Accent? Your next car selection impacts your daily comfort on the road, your safety and other aspects of your life, so you demand excellence from the vehicle that you take home. 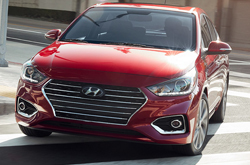 The Accent is a subcompact car that has been offered by Hyundai since 1994, and it provides you with an exceptionally smooth, comfortable ride as well as impressive style. The Accent's fifth generation launched with the 2018 model year. While last year's model introduced extensive changes, Hyundai has made a few additional improvements to the Accent for 2019. The three trims offered in 2019 are the SE, SEL and Limited, and each has unique updates. A chrome grille is now standard in the 2019 SE trim. Chrome beltline molding and fog lights are now included with the SEL trim. LED headlights are new for the Limited trim in 2019. 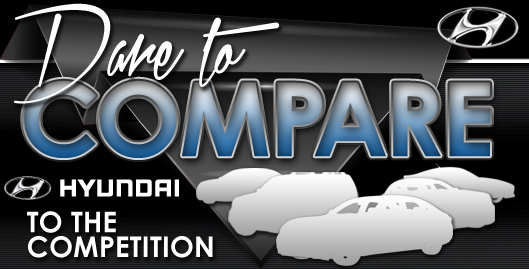 Make plans to stop by the dealership to compare all three trims in person. With three distinctive trims available, spending time learning about their differences is important before you decide which 2019 Accent to take home. The base SE trim has a lengthy list of features, and many of these standard features carry forward to the other two trims. These include cloth seating with manual adjustments, cruise control, 15-inch wheels, audio controls on the steering wheel, one-touch triple turn signals, hands-free connectivity, a color touchscreen display, a USB port, power windows, power door locks and climate control. In addition to including most of these features, the SEL trim also adds an additional USB port, voice recognition to the Bluetooth feature, automatic temperature control, 16-inch wheels, a few extra storage compartments, automatic headlights, a larger color touchscreen, Android Auto, Sirius XM radio, Apple CarPlay and heated side mirrors. 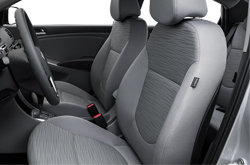 The 2019 Accent Limited is loaded with additional standard features, and these include heated front seats, a push-button ignition, a power sunroof, turn signals integrated into the side view mirrors, a proximity key, daytime running lights, an automatic window defogger and LED taillights. To compare each trim in detail, test drive the options at our dealership soon. Although the Accent is a small vehicle, it is big on power and performance. Regardless of the 2019 trim that you decide to take home, your Accent gives you 130 horsepower from a 4-cylinder, 1.6-liter gas engine. The SE trim has a manual transmission as base equipment, and a SHIFTRONIC auto transmission with Active ECO can be requested as an upgrade. The SEL and Limited trims include this same automatic transmission as standard equipment. To further delight you with a great experience on the road, the Accent also includes front-wheel drive, rear disc brakes, front and rear coil springs, MacPherson front struts, a unibody design, a rear torsion axle and electric power steering. During your test drive, you can appreciate the superior engineering that this vehicle was designed with. 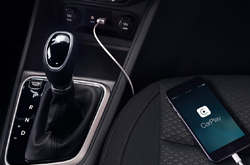 You will love how secure you feel behind the wheel of your 2019 Accent thanks to its many safety features. A closer look reveals that all 2019 trims include front and rear crumple zones, front seatbelt pretensioners, anti-lock brakes, child safety door locks and LATCH seat anchors in the rear, tire pressure monitoring, anti-lock brakes, traction control, side and front airbag, a front passenger airbag deactivation feature, stability control and a few other features. The 2019 Accent SEL adds Hill Start Assistance and a blind spot mirror to the standard equipment, and a forward collision avoidance feature is included in the Limited trim level. If you are excited about the Hyundai Accent, you can come into our Arlington dealership for a test drive.